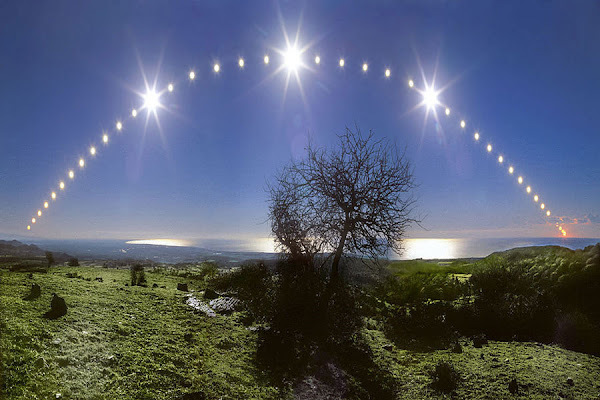 Because I am a huge nerd, I have scheduled this post to publish at the exact minute of the December Solstice. Update: Today got away with me. I started writing this post early this morning, and fully planned to hit the “Schedule” button well before 10:03am. Simply Did Not Happen. Hope you’re all having a wonderful day! As veteran readers know, I usually put up a post for the the June and December solstices, and sometimes for the March and September equinoxes as well. I enjoy reminding myself of the astronomical reasons for the seasons, and I’m fascinated by various folklore and festival traditions celebrating how humans learnt to track the changes in how much sunlight is falling on the crops and how that affected the rhythm of their days at different times of the year. Ancient astronomical monuments (and modern tributes to them) fascinate me too. In recent Stonehenge news, archeologists have discovered evidence of feast gatherings that date back 6000 years. The seasons turn, and turn again, regardless of the cultural traditions that variously unite and divide us. In the northern hemisphere, it’s a time to celebrate the end of the shortening days and the promise of the longer days of the coming spring. In the southern hemisphere it’s a time to shelter from the heat and enjoy fresh fruit and frosty drinks on long and light-filled evenings. Today’s astronomical observatories have gone far beyond the naked eye observations of our near neighbours in the solar system, creating photographs like these Astrofest competition winners alongside more specialised measurements of galactic and intergalactic phenomena. The universe is an amazing place.